The BOB 2016 Revolution Flex Jogging Stroller is your all-day jogger/stroller. This jogger is equipped with ultra-reflective fabric which enables you to be seen either during your morning strolls or evening runs without much lighting. This provides additional safety for caretaker/parent when jogging. The Flex jogger can handle both jogs and strolls and could be a good companion for those who enjoys short, intermittent trips. Multi-level seat adjustments enabling your child the choice of reclining or sitting upright on his stroller. Tires are easier to air as the stems are angled for easier airing. The weight is of a concern when mounting on a car as the new model does not allow the wheels to be detached so one has to carry the whole folded stroller onto the car and it weighs a good 28.5 pounds. 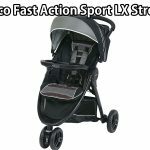 The BOB 2016 Revolution Flex Jogging Stroller is a good jogger for one who wants to alternate between stroll and jog as this stroller/jogger has qualities that make for a good long jog as well as short evening strolls. Equipped with air filled pneumatic tires, the stroller can traverse well both on cement pavements as well as uneven park terrain. Your baby will have a bump-free ride owing to the great suspension of the stroller. The BOB 2016 Revolution Flex Jogging Stroller can be set up to a complete travel system when you pair it with the BOB B-Safe 35 Infant Car Seat by Britax. With these two, mom and dad can definitely enjoy a stress- free jog as well as long haul drive as the baby car seat could just be transferred to the car easily with no fuss. Thus, baby stays comfy and undisturbed even while traveling. For those who plan to take the jogger with them on trips, make sure though that you have enough room within which to carry the jogger as it is a bit bulky even when folded. 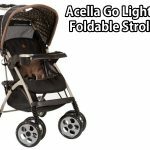 The weight, on the other hand, compensates for the safety the stroller provides as it does not only have a stain-free, beautifully textured stroller: the make is such that the stroller can take in bumps without damaging the equipment. Wheels can go through any rough terrain easily and pushing the jogger is a breeze.